It isn’t every day that a prospective animator or 3D artist has the opportunity to work alongside a dedicated group of colleagues, industry professionals and mentors in the heart of the film industry for an immersive summer experience. It’s rarer yet if they can earn college credit from one of the world’s most distinguished universities while honing their skills and discovering new elements of the trade. Enter The University of Southern California’s Cinematic Arts Summer Program. With its unique blend of instruction and hand’s on training that can only be realized at a world-class film school, a diverse fusion of students descend upon the City of Angels each summer to learn from the best. With summer just around the corner and courses filling up, we spotlight USC’s Cinematic Arts Summer Program for students eager to immerse themselves in rigorous film studies that include animation, motion capture and visual effects. We spoke with Ty Strickler, the program’s Coordinator, who shared a taste of the passion for film that participants find at USC. (This interview was done via email and has been edited for length & clarity. For additional information including tuition rates and course offerings, visit USC’s website). ACR: Ty, thanks for participating in our latest Q&A and telling us a bit about USC’s Cinematic Arts Summer Program. To begin, fill us in on the genesis of the program and its impact on alumni. TS: The USC School of Cinematic Arts Summer Program has produced generations of filmmakers. The craft is certainly teachable and USC film school will give you the technical knowledge to be proficient in the field. Alumni of the program have gone on to become successful producers, writers, editors, cinematographers, animation specialists, and directors. The driving force behind the Summer Program remains the same as it did when the program first began: a well-made film detaches us from the confines of the medium and USC searches for passionate filmmakers committed to telling the story. ACR: Unlike some summer and internship programs, USC offers credits for both enrolled and non-matriculated students in the program. Are there prerequisites or requirements that participants must possess prior to applying to one of the courses? 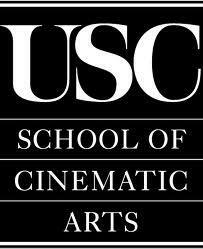 TS: One of the biggest benefits to the USC School of Cinematic Arts, Summer Program is that our students receive college elective credit and a transcript from the University of Southern California! The only prerequisite we require is a love of film and a strong desire to take your skill to the next level. Because the University recognizes these units, potential students must apply via our website in order to enroll at the University. Unlike the matriculated student applications, our rounds of acceptance happen every two weeks, allowing accepted students the time to make summer preparation plans. ACR: Do the courses mirror the undergraduate or graduate offerings of USC’s School of Cinematic Arts with regard to curriculum or instructors? TS: Many of our courses are offered during the regular school year; however, these courses are condensed into six or seven weeks. Current USC faculty at the School of Cinematic Arts and industry professionals teach in the summer program. We also offer ‘specialty courses’ that are not offered during the regular year. In particular, the USC/Warner Brothers Producing & Directing course and the USC/Universal Producing & Directing course. These popular classes fill up early and offer filmmakers the opportunity to travel to the back-lots each week, as well as meet industry professionals ranging from working directors to production designers, editors, wardrobe, etc. Each class films five group projects on the back-lot, giving them a rare opportunity that most film students do not receive. ACR: There are several courses in the line-up for CG and Animation including 3D Animation for Film, Motion Capture, Visual Effects and Animation Fundamentals- all offered at the beginner level. Are these suitable courses for students considering a major in Animation, either at USC or elsewhere, but wanting to discover a little more about what that might entail? TS: Absolutely! The animation classes in the summer program often serve a testing ground to see which field of study is right for them. Come get your ‘feet wet’ and explore a field of study before being locked into a program. ACR: Students of the program often say that they live, eat and breathe films during the course of their class. Tell us a little about the immersion of the Summer Program, both in and outside of the classroom. TS: Six or seven weeks of passionate intensity… that’s what the summer Cinematic Arts program offers its students. Because students create films outside of the classroom setting, they form long-lasting relationships with each other; moreover, students start forming valuable industry connections through networking opportunities. The USC School of Cinematic Arts has plenty of on campus events ranging from pre-screenings of the new Box Office movies to guest lectures by notable alumni. Although students work at a constant pace on course work and film projects, they are free to explore the city during the summer. Some professors even plan organized fieldtrips throughout the program to expose students to all Los Angeles has to offer filmmakers. ACR: It’s little wonder why students descend on your campus from all over the country and world to participate in the Summer Program, including minors (aged 16 and up). Are there benefits to having such a diverse array of students? ACR: Lastly, what do you hope students take away from their experience in the Summer Program? TS: Kindling a passion for great story-telling, harnessing the excitement of filmmaking and bringing it to life on screen – that is what students will take away from their USC experience. Like syndicated columnist Harvey Mackey once said: “Find something you love to do and you'll never have to work a day in your life.” At the end, our students come away from this experience at the USC School of Cinematic Arts inspired to continue to create, write, film, produce, and edit.